Thanks to a generous grant from Arts Council England, Emma Claire Sweeney and I have been able to organise a series of literary salons at NYU London. These events will bring together writers and literary professionals, to discuss the problem of gender equality in the literary world and come up with positive solutions. For more details about the salons, please click here. We look forward to seeing you there. Emma Claire Sweeney and I already blogged about our forthcoming book on Something Rhymed, but I thought it would be a good idea to share a link to that post here too. A Secret Sisterhood, which focuses on the literary friendships of Jane Austen, Charlotte Brontë, George Eliot and Virginia Woolf, will be published by Aurum Press in the UK and Houghton Mifflin Harcourt in the USA, both in late 2017. Emma and I are heavily into research and writing now, but we look forward to sharing snippets of the stories of these friendships on our website, and delving into everything in much greater depth in our book, A Secret Sisterhood. Emma Claire Sweeney and I will be giving a talk at NYU London tomorrow (3rd December). ‘A Secret Sisterhood’ will focus on our research into female literary friendship, in particular the friendships of George Eliot and Harriet Beecher Stowe, and Katherine Mansfield and Virginia Woolf. We’ll let our Something Rhymed readers know how it went in an upcoming blog post, and you can find out more about these relationships, and many others, by visiting Something Rhymed. As many of our regular readers know, Emma Claire Sweeney and I took a break from our literary website Something Rhymed over the summer. In our time away, Emma has been on a First Impression writing retreat in Barreiro in Portugal. I have taken part in a trek in northern Thailand organised by Mahouts Elephant Foundation. For eight days and more than 130 km, we walked a pair of elephants from where they have been working in a camp on the outskirts of the city of Chiang Mai to their new forest home. You can read more about the trek here if you are interested. Emma and I are looking forward to bringing you September’s month of posts, starting with today’s profile of writer friends Elizabeth Barrett Browning and Mary Russell Mitford. We are grateful to Lydia at Persephone Books for suggesting we research the relationship between this pair. You can read the whole post here. 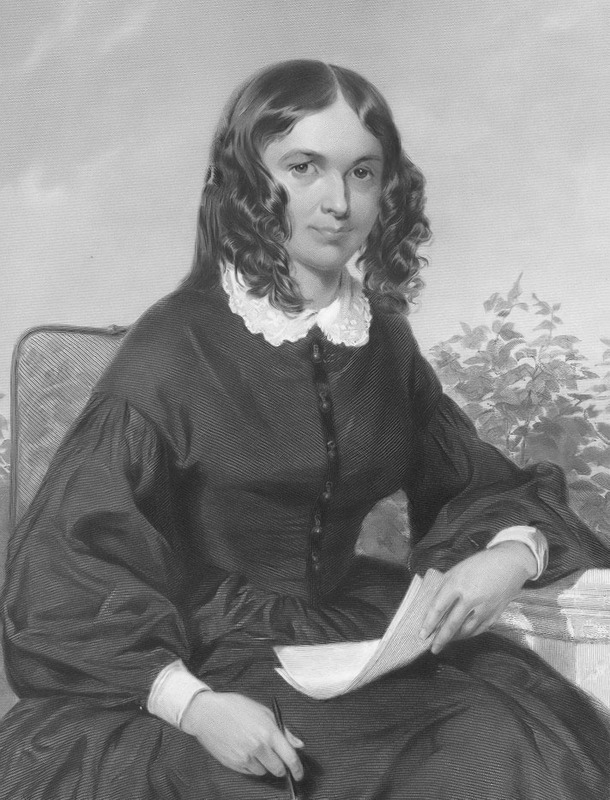 Elizabeth Barrett Browning – this image is in the public domain. 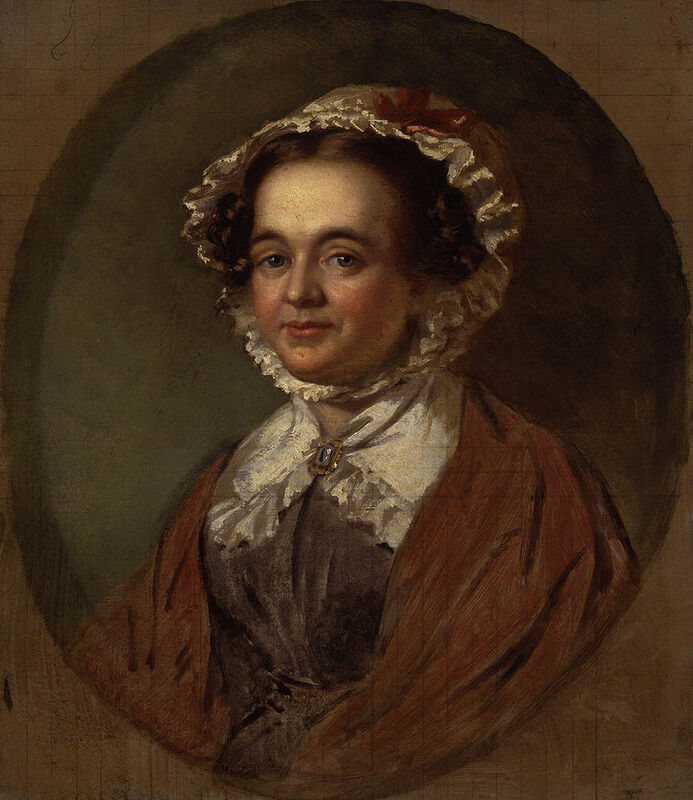 Mary Mitford Russell, by Benjamin Robert Haydon – this image is in the public domain. 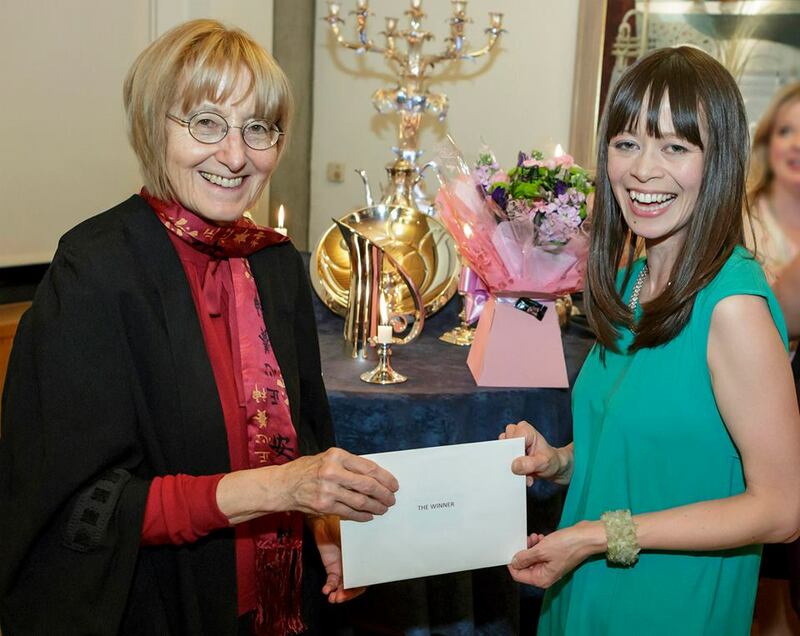 In what has been a very busy month, writing-wise, it was an absolute treat to attend the dinner for the Lucy Cavendish Fiction Prize 2015 on 14 May – and a huge surprise to win! Having enjoyed reading their novel extracts so much, it was great to meet the four other writers shortlisted for the prize (Tracy Kuhn, Amy Spencer, Sonia Velton and Rebecca Welshman), the prize judges who were able to attend that evening (literary agent Nelle Andrew and bestselling author Allison Pearson), as well as Professor Janet Todd, president of Lucy Cavendish College. An added delight was having the chance to share all this with my close friend and Something Rhymed collaborator Emma Claire Sweeney. Emma and I have been supporting each other’s ‘writing journeys’ for well over a decade now, and she has seen me through so many ups and downs. So this made her the obvious person to ask along as my guest for the evening. Having Emma there to celebrate with me made the whole experience extra special. There are still a few places left for Working With Writing: the art of collaboration at City University London this Thursday. The event, chaired by Rebekah Lattin-Rawstrone, will feature author Heidi James and her editor Hetha Duffy of Bluemoose Books, as well as Emma Claire Sweeney and me. Emma Claire and I will be talking about our jointly-run website Something Rhymed, and our research into historical literary collaborations between some of the world’s most famous female writers. £10, including a glass of wine or soft drink. 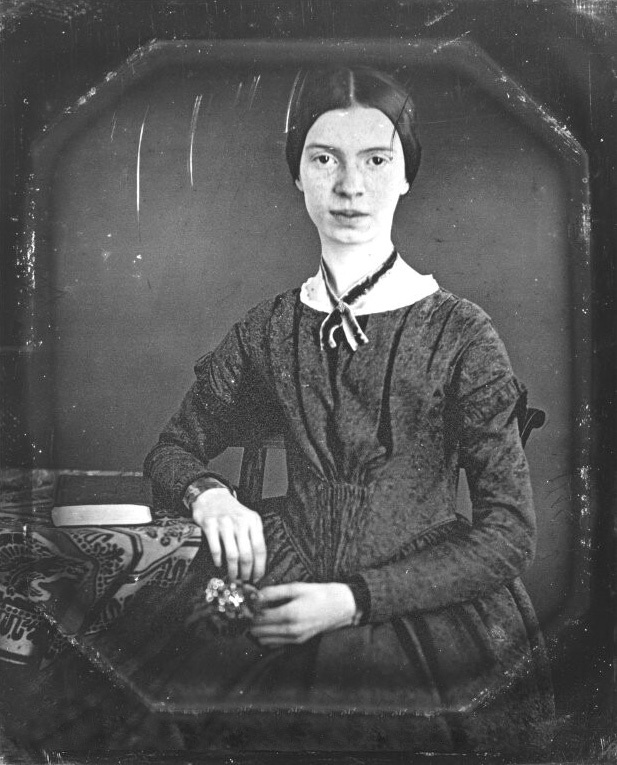 Emily Dickinson (later in childhood). This image is in the public domain. The original is held by the Archives and Special Collections at Amherst College. Emma Claire Sweeney and I were delighted to be approached by new literary magazine, Shooter, with a request that we contribute an article to their first issue. ‘Success is Counted Sweetest’, our piece on the literary friendship between Emily Dickinson and Helen Hunt Jackson, is the result. Readers of our joint website Something Rhymed may recall that we profiled this fascinating relationship on-line some months ago, but it was a pleasure to revisit it in a longer form in print. Our research into this pair has caused us to seriously reevaluate our earlier impressions of Dickinson as an out-and-out recluse, and encouraged us to look with a more careful eye at the woman known to her curious neighbours as The Myth. This process of reevaluation has, in fact, played a much broader part in the work we’ve been doing for the website. Jane Austen’s radical friendship with family governess Anne Sharp, we discovered, challenges the notion that she was a timid, conservative lady. Diary entries left behind by Virginia Woolf cast doubt on popular depictions of her and Katherine Mansfield as bitter foes. The bond between Helen Keller and Nancy Hamilton transforms the ‘saintly’ image of the former and shows her as an even more interesting individual. If you are interested in finding out more about these friendships, or the many others we have featured so far, you can do so by visiting the Profiled Writers page of Something Rhymed.